Why is this so important? Soft toss hitting drills are an important part of hitting practice that will help players become better hitters. No matter what you hear today, soft toss is still a preferred baseball hitting drill that players all across the nation participate in. The reason why it’s so popular is because it works. I played ball for 14 years and this drill is something I did consistently over all those years. I had a lot of different coaches but they all used this particular drill. Having played one year of college ball and I remember those hot weather practices in August and I distinctly remember doing soft toss drills. It was the station in front of the backstop with the protective hitting cage around home plate. It was a lot of fun and helpful too. If college teams use soft toss then you’ve got to take it seriously whether you’re in high school or middle school. Below you will find a few soft toss drills followed by some quality soft toss equipment. There are a few different variations of the soft toss drill you can try. Don’t make it too complicated or you’ll waste precious moments at practice. The key is to get your reps in. I once heard the saying that a careless batting practice will produce a hitter who suddenly cares…during the game…and has not readied himself for competition. Basically you need to use batting practice and this soft toss drill or it will use you. Soft Toss Hitting Drills – #1 – For this particular drill we will have the batter standing in front of a hitting net. We’ll say the player is standing at home plate facing the backstop where the net isn’t too far away. You will then have a coach or player kneeling several feet away from him. It’s also advised to sit on a plastic crate which might be more comfortable. You will then underhand toss the baseball to the batter and he will hit the ball into the netting or other protective screen. The emphasis of the batter should be to keep everything in line and to focus on quick hands. The hands should go forward really strong. As far as reps go there isn’t one rule or number you should hit. I always like to think 25 but it depends on if you’re getting extra practice in by yourself or if you’re with the team. Soft Toss Hitting Drills – #2 – My second favorite soft toss drill is the same exact setup as the first one. However, the player will now only hold the bat with his lead hand. For a righty that would be his left hand and for a lefty it would be his right hand. The batter will do the exact same movement. He will have his trigger action and hit the ball with quick hands. You will then switch it up and hit with the top hand. This means a righty would then swing only with his right hand and arm. To see this drill please watch the video down below. There is now enough affordable soft toss equipment for everyone. If I had to do it all over again I would have saved my money as a young player and invested in protective netting rather than buying so many baseball cards and other junk. There are nets and machines you can purchase. Either way you want to make sure you do everything safely because you don’t want to cause injury to yourself or anyone else. I would even suggest the person who tosses to you wear a batting helmet. You also don’t want to set up your net in front of a window or the road. Make sure to also keep the netting and or machine out of the weather when not in use. Rain, sun and snow can damage your equipment. 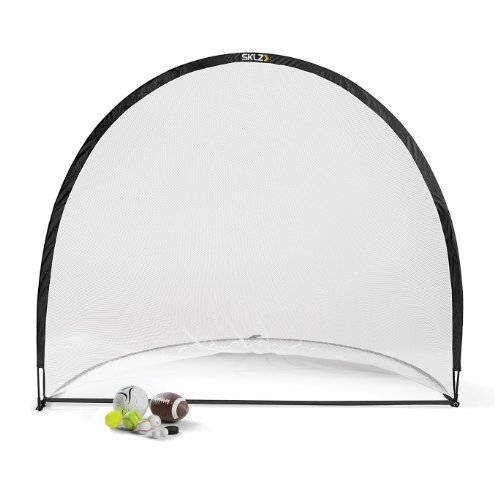 Check out best soft toss equipment below and start practicing! 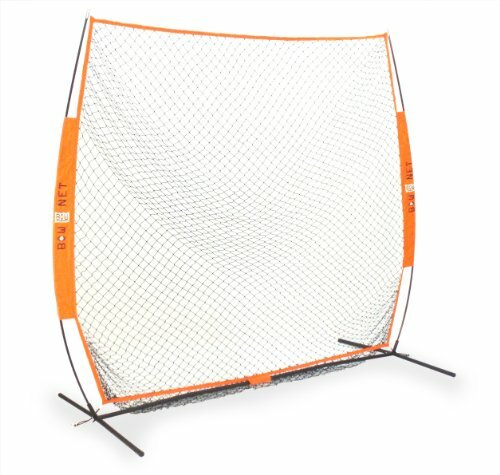 Here are some really good soft toss nets for you to consider. These are used all the time by teams but you can own one of these yourself and get all the practice in you want. What’s soft toss hitting drills without a good net! 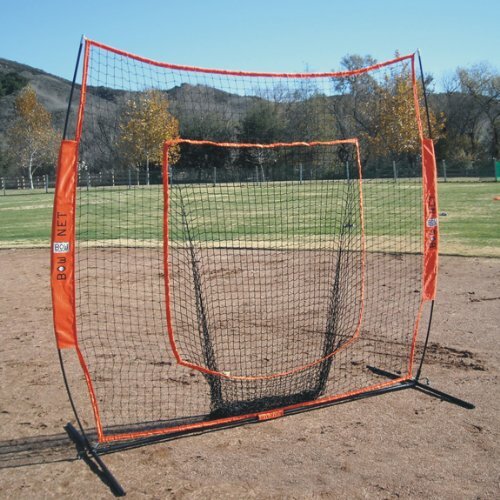 If one of these baseball soft toss nets interest you but you still have questions just let me know. They didn’t have soft toss machine’s when I played ball in the 80’s and 90’s and I wish they did. There’s no doubt in my mind I would have had one of these plus a protective net at my house. I would have practiced just about every day! There’s no doubt the drills listed on this page and the soft toss nets combine to offer one of the best ways to improve your hitting. If you have any tips or suggestions not listed on this page just leave a comment down below. We do soft toss hitting drills with our boys, this is a great selection of equipment to use. Great hitting drills and equipment choices for softball. I never got into baseball but these tips I think are great for any beginner or expert to put in their routine practice. Another great soft-toss system is the new Apex Soft Toss from Louisville Slugger. Throws baseballs, softballs & light-flight balls. Collapsible design to take anywhere and simple to use. It also converts into a pro-tee for tee work. Worth checking out.